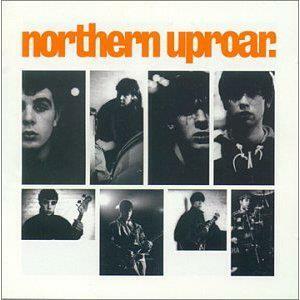 Northern Uproar are one of those great bands from Manchester, who lived through the Madchester/Britpop years and have been uprooted by splits and a changing line-up. Although they have been lazily labelled as another Madchester /Brit-pop band, Northern Uproar are more multi-faceted than the critics or journalists would have us believe. Having released three studio albums, with the debut produced by James Dean Bradfield in the 90s, Northern Uproar are back and currently working on their fourth album. With Leon Meya on vocals/bass, Jeff Fletcher on guitar, Chris Gorman on guitar and Alex Stubbs on drums, Northern Uproar have retained that passionate energy that they were notorious for during their live performances. You just have to listen to their catalogue of guitar-laden singles to appreciate the textured and slamming riffs that Northern Uproar excelled in. With a fusion of jittery post-punk and chuggy riffs, Northern Uproar have always maintained that bona-fide Madchester band tag, whist experimenting with the neo motown, funk vibes likened to the Pale Fountains and The Style Council. Significantly Northern Uproar have been blessed with a great front man who can actually sing. In an age where style over substance is somehow deemed cool, Leon’s raw vocals always manage to bellow and swagger in equal measures. With songs such as From A Window, you can really appreciate the raw and angular, vocals of Leon that steamroll against the crunchy, curling riffs and excitable drums. It exudes pure attitude, without the overbearing arrogance of his Manchester peers and showcases the customised dual vocals of the band. Songs such as Town and Anyway You Look illustrate the genre-bending diversity of the band. With Town, you hear how the sombre and shimmery riffs are picked up by the sweeping violins edging towards a new wave baroque. Again with Anyway You Look, you see how Northern Uproar have customised their sound with trumpets and saxes stepping over into a neo motown genre. It’s also a song which conveys a strong sense of melancholy through the repetitive lyrics. Likewise with Girl I Once knew, Northern Uproar show us their experimental side. Flitting from the Stone Roses-esque bongo drums to more militant beats, whilst the vocals roar with conviction between the curling, jangly and squiggle riffs. It’s also a song which once again masters the perfect dual harmonies against the subtle farisa organ and bass. Songs such as Rollercoaster and Kicks illustrate Northern Uproar’s more murky and robust riffs With its clattered intro, Rollercoaster accelerates at a fast pace, whose heavy riffs play in juxtaposition against the spinning riffs. Likewise with Kicks, Northern Uproar pulsate with a more uptempo pace, whose metallic,distorted riffs shriek against more obscure and disjointed vocals. With Livin it Up, Northern Uproar stay close to their Manchester roots whilst, leaping forward with a more post punk Clash-esque sound. With lyrics such as “I don’t need the postman to tell me the time of day”, you get a sense of that signature Madchester demeanor, evoking cool nonchalance and authenticity. However, just when you think Northern Uproar are a distant cousin of The Stone Roses, then think again as with the song Goodbye, you get to hear the rich and raw vocals of Leon that resonate against the sorrowful lyrics. It’s an emotionally driven song, whose undercarriage of sloping harmonies customise the song with heartfelt sentiments. Along with its bashing beats subtle farfisa organ and acoustic riffs, Goodbye’s sentiments are amplified through the torpid trumpet, which hallmark Northern Uproar as a very talented, underrated, hybrid band.